Six months ago, the average gas price was approximately $2.82 per gallon. If figure the consumer drove 1000 miles per month with an average mile per gallon of 19, the total cost per year for gas would be $1,781.00. Now that gas prices are averaging $1.82 per gallon, the total cost per year drops to $1,067.00. This equates to an average savings of $714.00 which could vary depending upon how much driving the consumer actually drives in a year. However, in any regard, the savings are substantial. This fact should make it a little easier for consumers to make ends meet. Perhaps the consumer can pay down a little more per month on installment debt. Perhaps the consumer can finally get caught up on past-due utility bills. Possible, the consumer can pay off a pay day loan or a title loan. If the consumer is still having a problem meeting monthly expenses, then it is possible that some form of debt relief would help. For those that actually take the time to budget, they will notice a surplus in their gas allowance. However, they will not likely see any savings in their food costs. The drop in gas prices has not yet brought about any noticeable change in food costs. The fuel surcharges that have been in place for some time now are not yet lifted. However, this drop in gas prices is the first real relief that the country has seen in recent memory. Incredibly, this relief has been occurred in no part as a result of the government’s efforts to assist the middle class. This is simply a case of supply and demand with demand being significantly reduced. 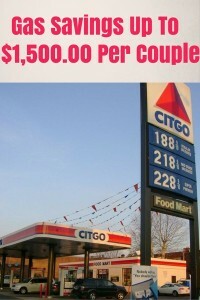 Gas prices are only one major factor effecting one’s financial situation. However, it is an important one that should not be overlooked. Since this blog is mostly talking about the gloom and doom of current times, I thought it would be nice to spread some good news for a change. Let’s hope that gas prices continue to drop or at the least, continue to remain the same.